Photo of: East Coast of Ireland: Meath: Boyne at Newgrange. 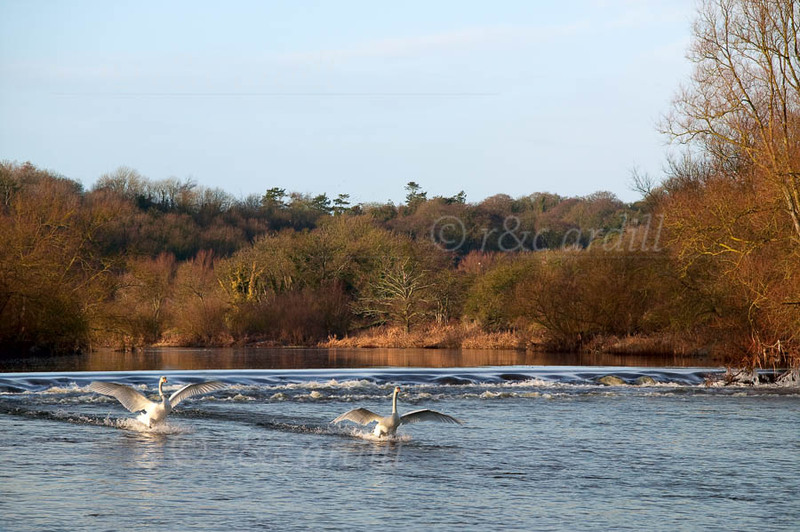 Swans landing on the Boyne at Newgrange. One of the lovely Boyne weirs can be seen just behind the swans.